If you do a lot of TIG welding, select an auto-darkening helmet with a TIG setting. A welding helmet is a crucial piece of personal protective equipment. It shields your eyes, face and neck from dangerous infrared and ultraviolet rays. It also protects you from debris and hot slag. Yet the right welding helmet can do more than just protect you from these dangers. In some cases, the right helmet can help you weld better. Welding helmets are available as fixed-shade or auto-darkening. Fixed-shade helmets are inexpensive and offer effective protection. Their lenses are like sunglasses, albeit very dark ones, and remain shaded at all times—often using a #10 lens. When you want to position your torch or inspect your weld, you flip your helmet up. 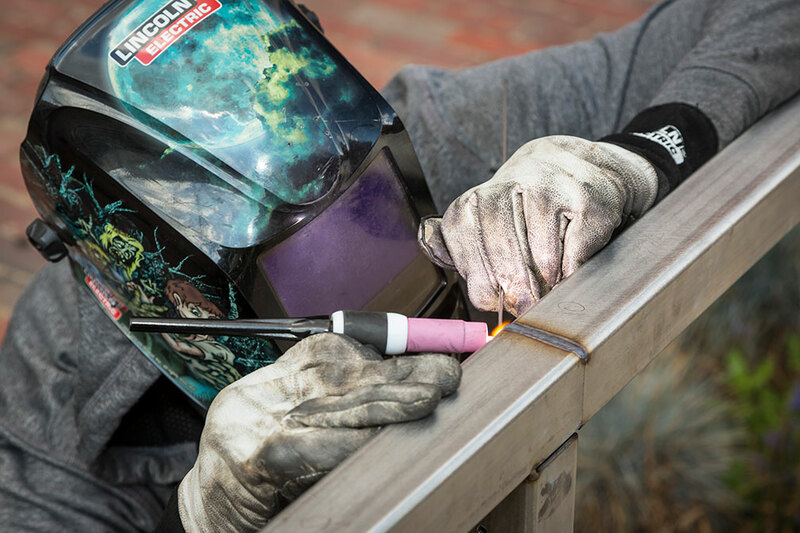 When you’re ready to resume welding, you lower your helmet with a quick nod. Auto-darkening helmets eliminate the need to flip the helmet between welds. This minimizes the neck strain that can develop when using a fixed-shade helmet over several hours. It also means you can focus all your attention on controlling your torch and making accurate, high-quality welds. A camouflage helmet is a good choice if you want to blend in with your surroundings. While some established welders prefer fixed-shade helmets, we generally recommend auto-darkening welding helmets, which are available with a variety of features at all price points—KMS has auto-darkening helmets for established pros and new welders alike. Various welding processes and applications emit different levels of light and radiation. Auto-darkening helmets operate with a range of shades. How does it work? You select a shade on the helmet’s control pad, which is either inside the mask or mounted externally, depending on the make and model. Once you strike the arc, the lens with darken to that shade. Because auto-darkening lenses work within set ranges (often that’s #6 – #9 or #9 – #13; some go lower and some higher), it’s important to check the specifications and buy a helmet that’s compatible with type of welding you do (or plan on doing). In addition to variable shade selection, some models also have delay and sensitivity controls that allow you to tailor to your specific task or to suit the lighting conditions in your work area. Another helpful feature is a grind mode, a setting with less shade, usually #3.5 or #4, that improves visibility when grinding welds or doing prep work. Many auto-darkening welding helmets have replaceable lens covers, both inside and outside the mask. Some can be fitted with a cheater lens, or magnifier, for operators with impaired vision. Choose an auto-darkening welding helmet with grind mode for visibility and protection when cleaning up welds or prepping workpieces. 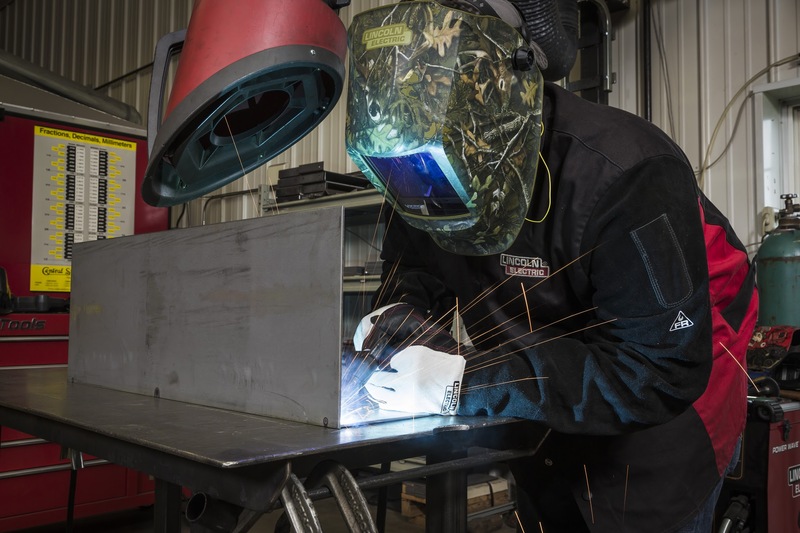 Auto-darkening welding helmets feature up to four arc sensors. A helmet with more sensors will provide better sensitivity, response and reliability in obstructed or low amp applications. Switching speed is another important specification. It indicates how long it takes the lens to darken once it senses the arc. The faster the switching speed, the less fatigue on your eyeballs. In the early days of auto-darkening, lenses were on the market with speeds as low as 1/3,600 of a second. Now most auto-darkening welding helmets switch shades between 1/10,000 and 1/25,000 of a second. Any good welding helmet should feature comfortable headgear, a protective lens and stylish flame graphics. With an auto-darkening welding helmet, most of its weight is from the filter cartridge. A larger viewing area improves visibility but often adds weight. Weight is a major factor in comfort, especially for professionals who wear helmets all day. With auto-darkening welding helmets, another consideration is power supply, Some models are powered by a replaceable battery; others by a proprietary battery. While proprietary batteries have longer runtimes and service lives, they are often more expensive to replace. Also, some auto-darkening helmets use solar power with batteries. Regardless of your preferred power source, it’s always a good idea to have spare batteries on hand. Before you buy a welding helmet, consider factors like comfort, visibility, and shade range. Think about how extra features (like sensitivity and delay controls) could help make your work more efficient and comfortable. 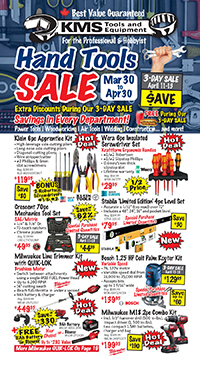 At KMS Tools, we have a huge selection of welding helmets for welders of all abilities, from rookies to seasoned pros. 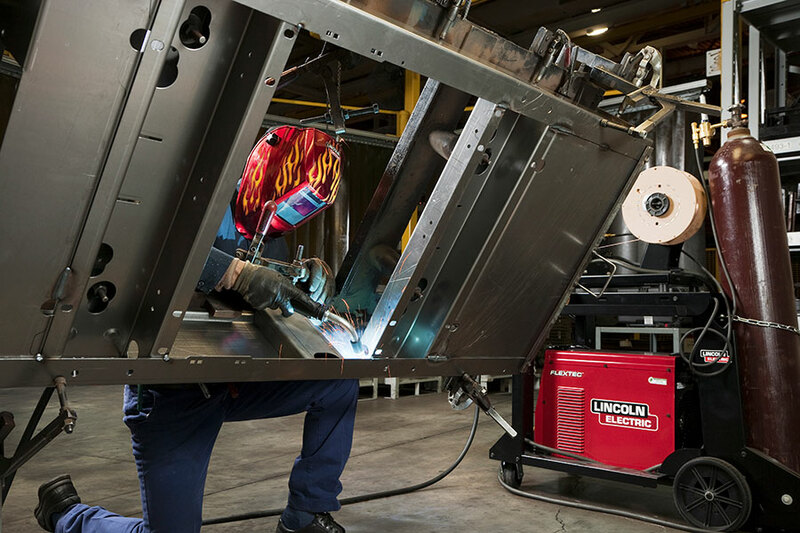 If you want to learn more about choosing the right welding helmet, check out our online welding department or stop by your local KMS Tools location. 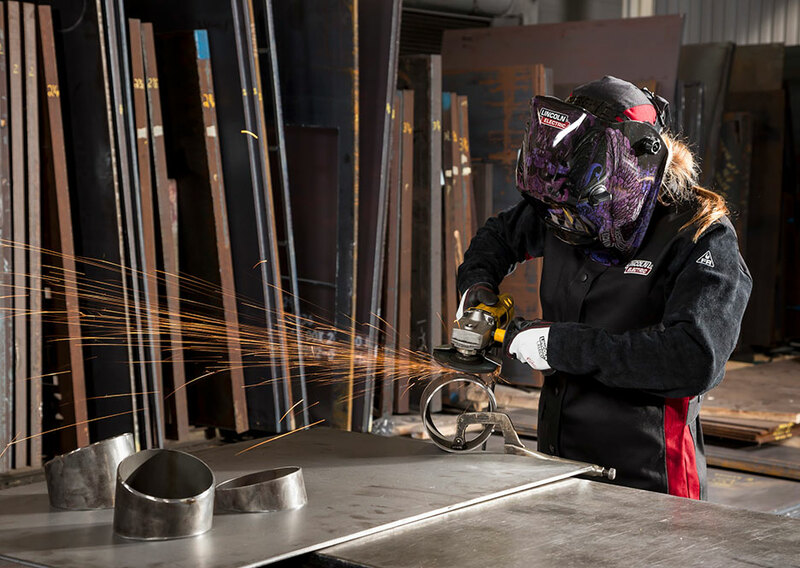 Our welding experts love putting their knowledge to work, helping welders like you find the right helmet. This entry was posted in Archives, Welding and tagged Miller Welding, safety equipment, Welding by Your Friends in the Tool Business. Bookmark the permalink. ← Previous Previous post: Boxing Week Sale Begins Today! Next → Next post: Changing the World, One Smokie at a Time!